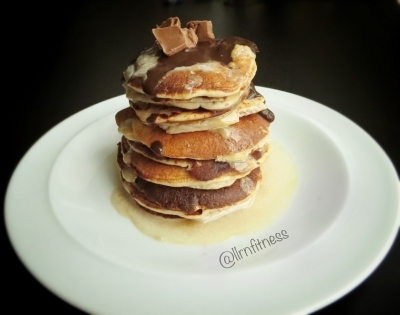 This delicious combo in pancake form! So tasty! Add remaining ingredients, mix well and cook on medium heat on a lightly greased skillet. Top with favourite pancake toppings and enjoy!